In response to international outrage over pellet injuries in Kashmir, the Indian government has approved PAVA grenades as an alternative to pellet guns–although it is not certain the Indian army will cease using pellet munitions since they’ve proven so effective in disabling & blinding. In a move of unspeakable cynicism, India is portraying PAVA grenades as less non-lethal than pellet guns. No weapon is non-lethal when used against unarmed protesters & more importantly, no weapon is justified against unarmed protesters. Not in a democracy anyway. PAVA projectiles will injure people in several ways: grenades often kill when they strike someone in the head or chest; PAVA chemicals incapacitate & paralyze so that many will suffer broken bones & other injuries from falling or being trampled in a crowd trying to escape attack; PAVA chemicals are toxic & will harm those with respiratory & skin issues; the chilli pepper ingredient primarily affects eyes & causes extreme pain, as if exposed to scalding heat. The entire discussion about non-lethal weapons to oppress Kashmiris is being conducted in media as if it was rational instead of completely insane & barbaric. No weapons used against unarmed protesters are non-lethal. None are justified. 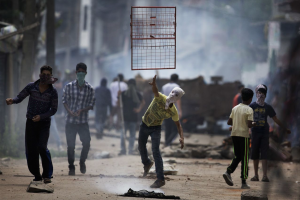 Photo is protesters in Baramulla on day 55 of the siege when 300 were injured by those non-lethal weapons & live ammo. India get the hell out of Kashmir. End the occupation. Self-determination for Kashmir. 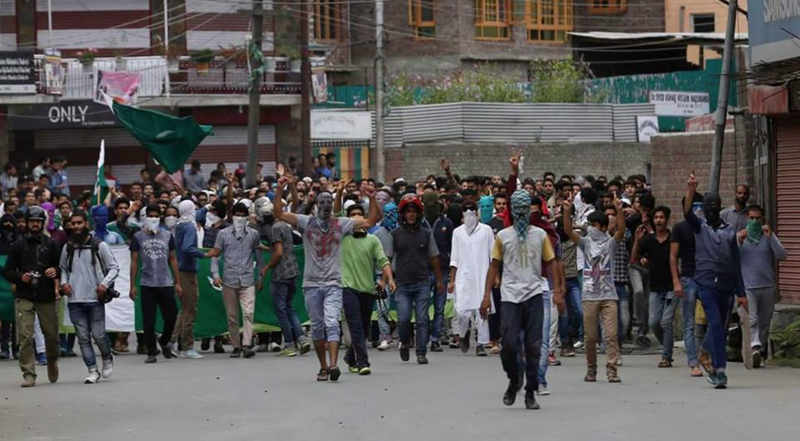 These young people in Srinagar stand unarmed against soldiers armed to the teeth with truncheons, pellet guns, tear gas, stun grenades, live ammo. Meanwhile media reports India is considering non-lethal weapons to replace non-lethal pellet munitions that have disabled, disfigured, & blinded at least 12 teenagers & kids every day for the 55 days of this siege. Why doesn’t the Indian army stop using it immediately if they know it’s doing such harm? And what about that live ammo? What’s so non-lethal about that? The only reason the NY Times, the Washington Post, & other media are reporting about this is because Indian military barbarism in Kashmir stands exposed by activists on social media. 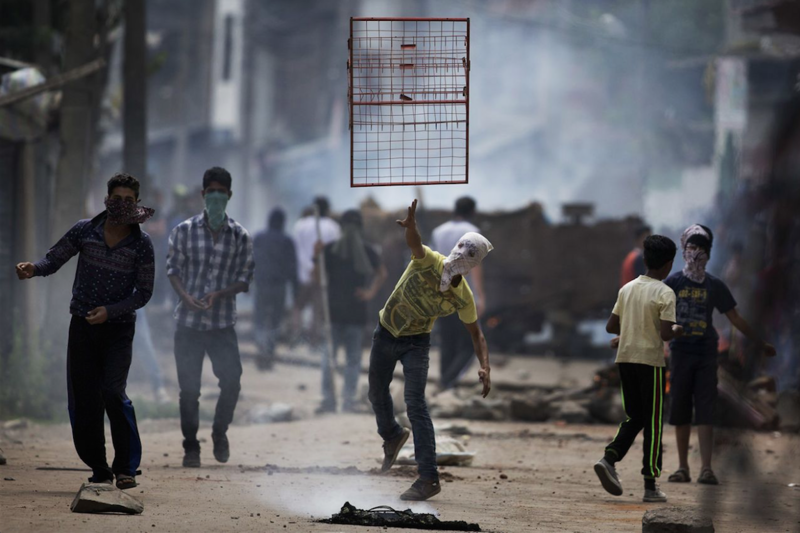 Media are inventing a counter-narrative to make the Modi regime & the occupation appear less violent & malignant when in fact maximum harm to young people is the very intent of all lethal & so-called non-lethal weapons used in Kashmir against unarmed protesters. 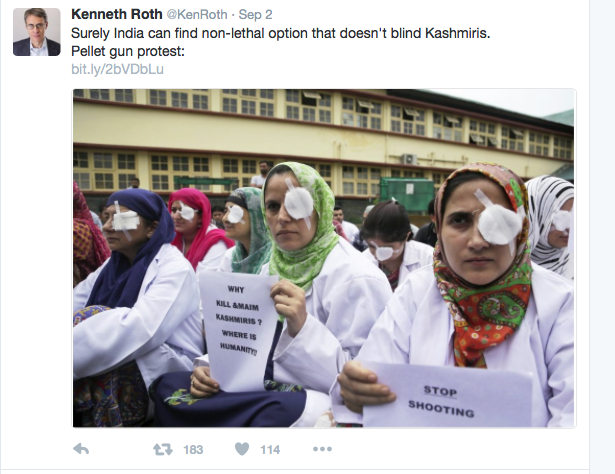 This Twitter from Kenneth Roth, the Executive Director of Human Rights Watch (HRW), typifies the political Achilles Heel of that organization. HRW is an establishment NGO that will not condemn military action, including wars & occupation. but only suggest more humane ways to conduct them. How many humane ways are there to kill people who are unarmed? Can Roth think of a suitable “non-lethal weapon” for shooting at unarmed protesters? Why isn’t HRW screaming bloody murder against the occupation with its summary executions, disappearances, mass rapes, torture, incarcerations, & the entire panoply of so-called non-lethal weapons injuring, disabling, blinding, killing Kashmiris? Why doesn’t Roth propose the end of the occupation & the immediate withdrawal of Indian troops as the only non-lethal possibility in Kashmir?